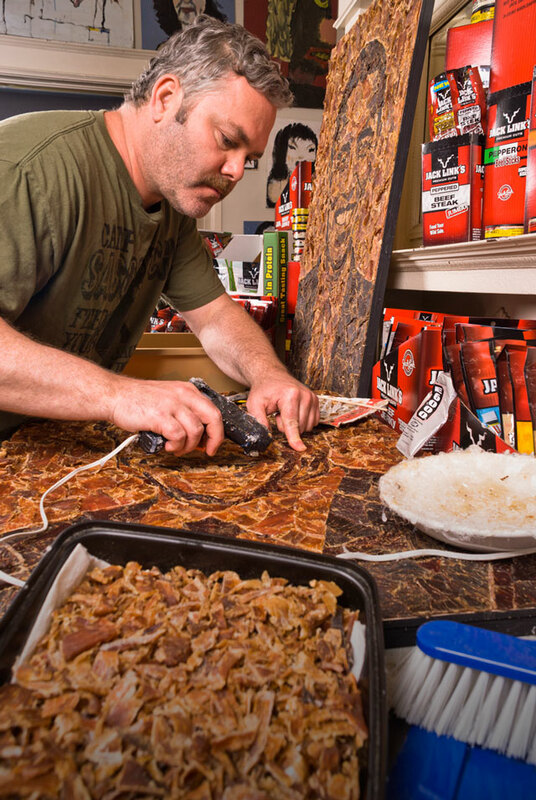 Earlier in 2012, mosaic artist Jason Mecier used 80 bags of Jack Link’s Beef Jerky to create a portrait of Sasquatch for their Snackin’ With Sasquatch campaign. 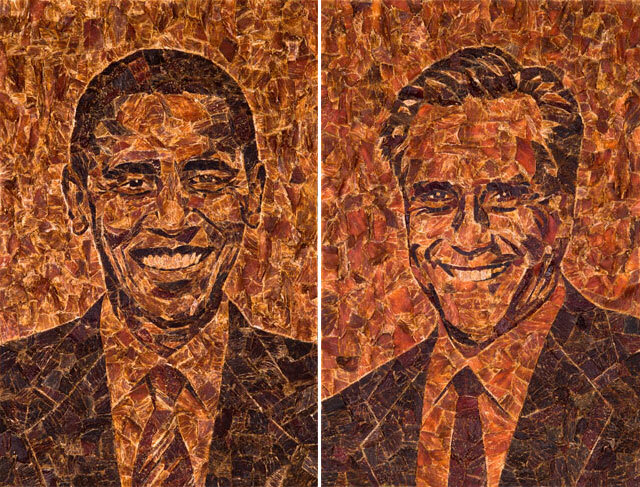 Mecier has collaborated with Jack Link’s again and has created Barack Obameat & Meat Romney, 3D meat portraits of President Barack Obama and the presumptive Republican candidate Mitt Romney. Be sure to check out Meat the Meatheads – The Making of Barack Obameat & Meat Romney, a short behind-the-scenes video that shows Mecier making these awesome election portaits. You can vote for your favorite “Meathead” (including Sasquatch) at the Jack Link’s Beef Jerky Facebook page. Jason’s artwork has been featured several times in the past on Laughing Squid. 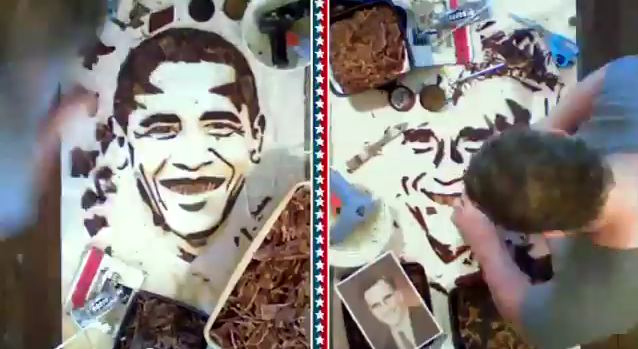 The portraits, dubbed Barack Obameat and Meat Romney, each took Mecier approximately 50 hours to produce. 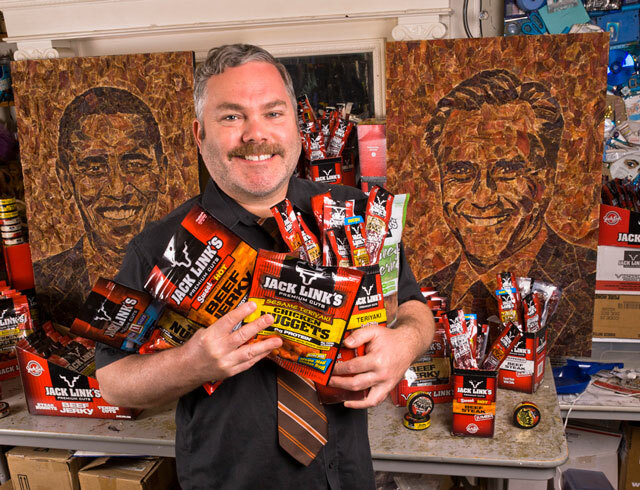 Mecier used a variety of flavors including Jack Link’s Original Beef Jerky, Jack Link’s Turkey Jerky, Jack Link’s Sweet & Hot Beef Jerky, Jack Link’s Original Smokehouse Beef Jerky and more to build each savory salute to the year’s biggest race.